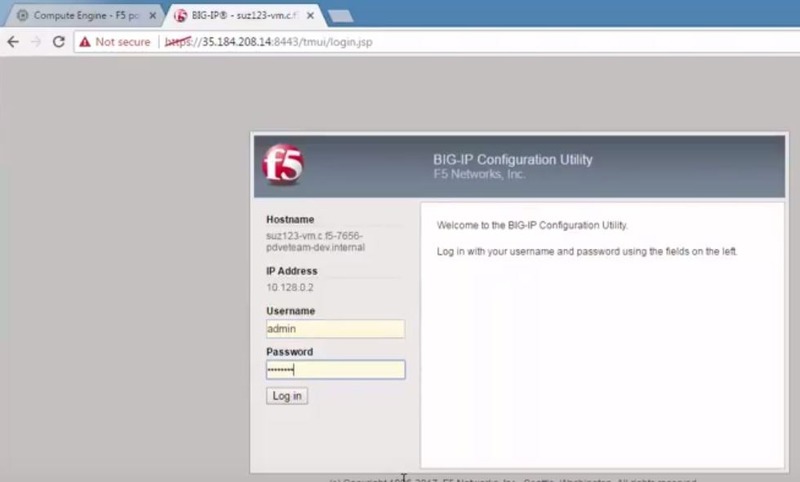 Before you can create this deployment, you need a license from F5. 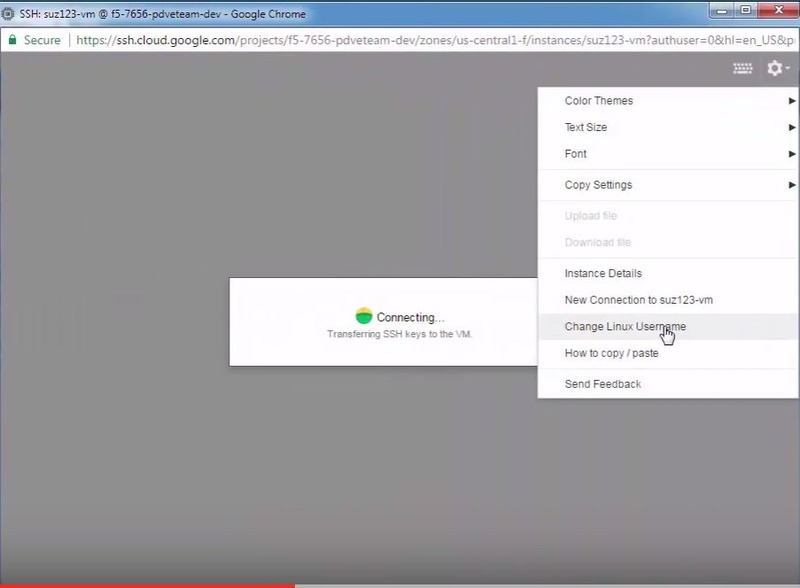 You can also get a trial license here. 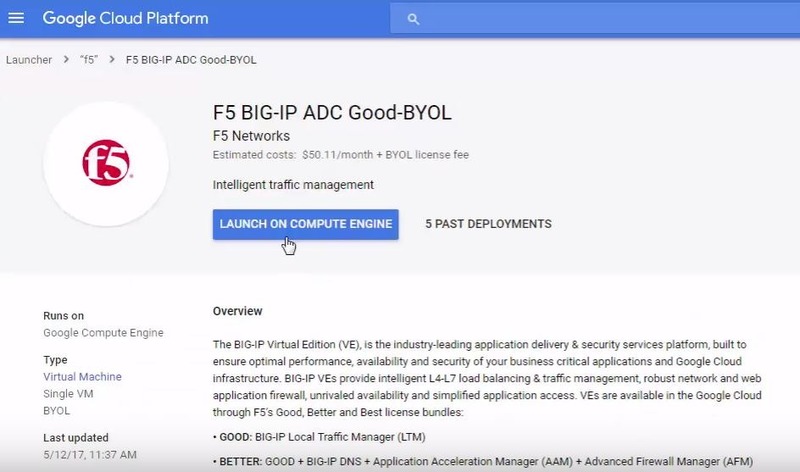 Also, we’re using BIG-IP VE version 13.0.0 HF2 EHF3 for this example. 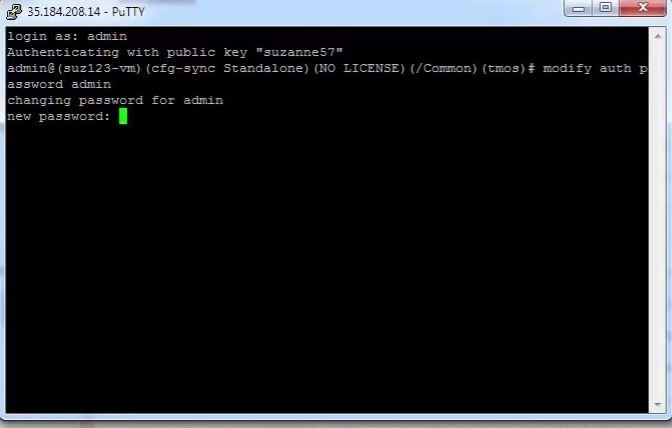 Once done, you’ll get that command line. 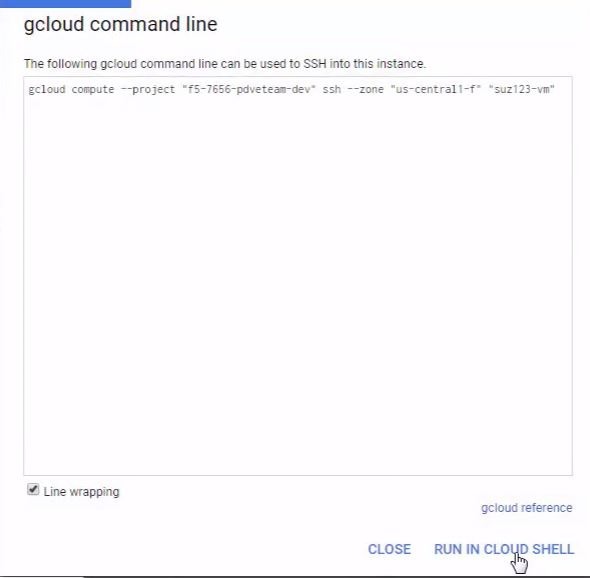 If you choose the gcloud command line option and then run in the gcloud shell, you need to put [email protected] in front of the instance name in order to connect. 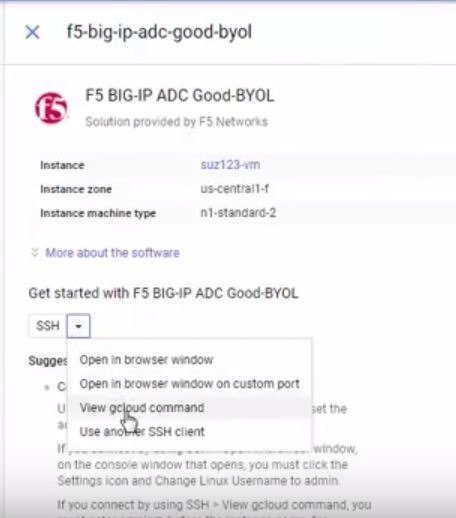 The reason that we’re using ssh to connect is that you need to set an admin password that’s used to connect to the BIG-IP Config utility. 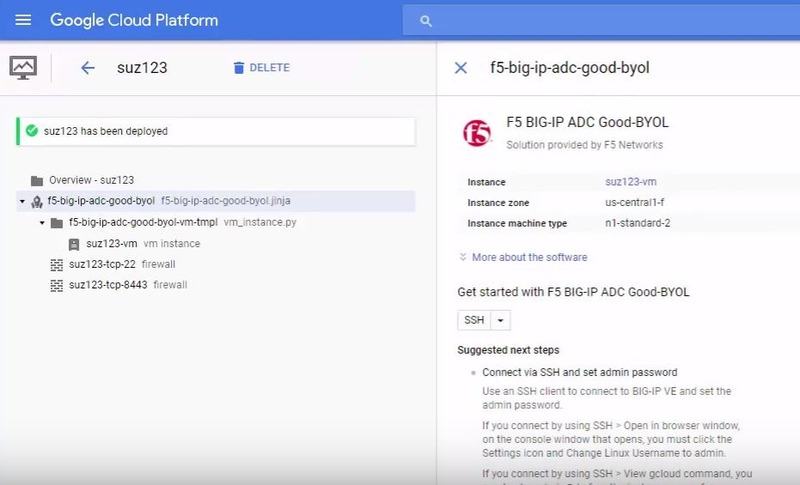 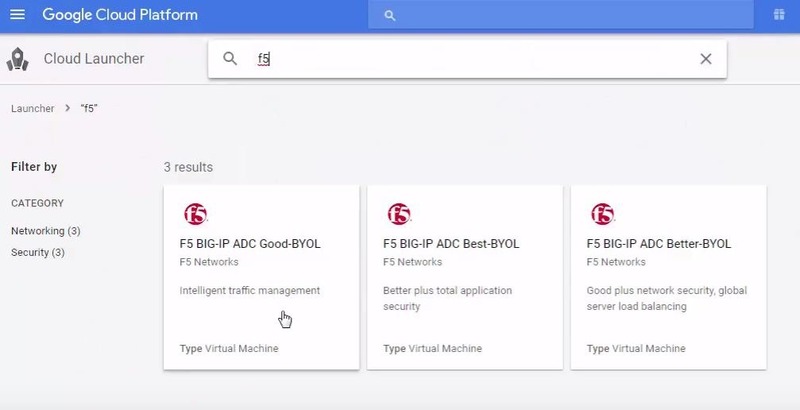 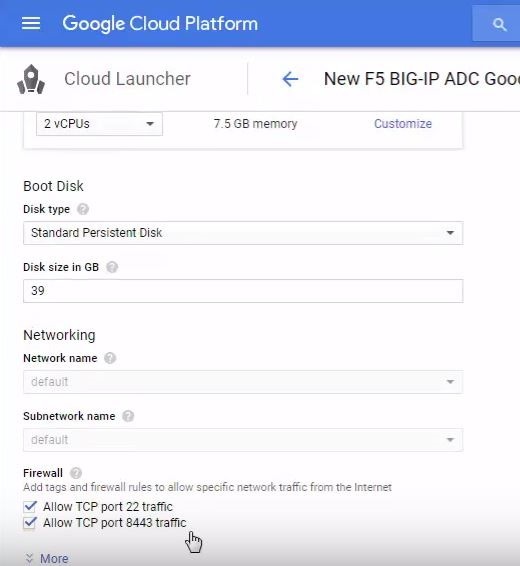 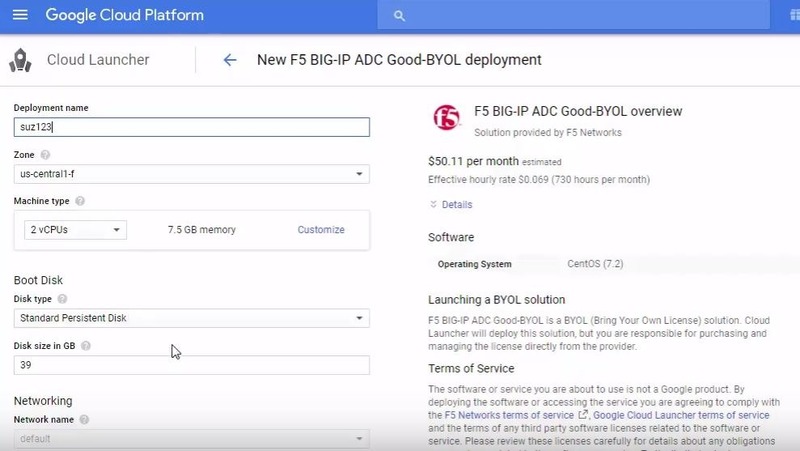 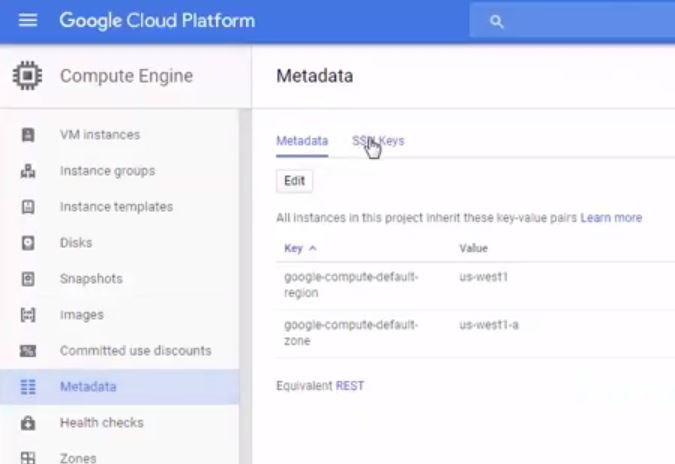 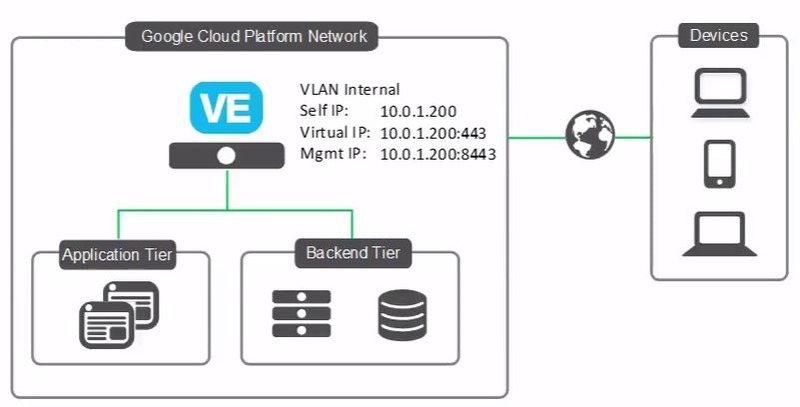 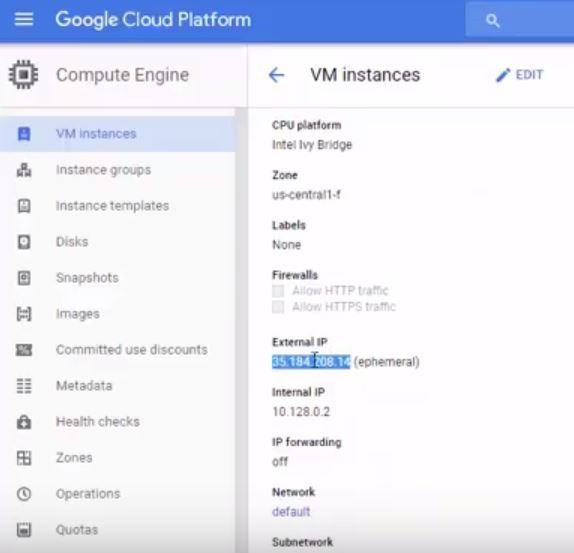 If you need any help, here’s the Google Cloud Platform/BIG-IP VE Setup Guide and/or watch the full video.